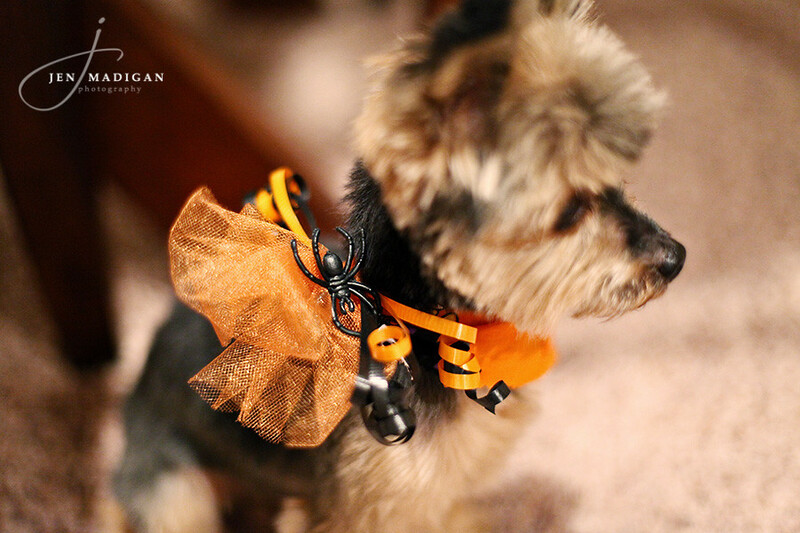 Jen Madigan Photography - Mentor, Ohio Lifestyle Photographer: Happy Halloween! Einstein, Josh, and I wanted to wish you all a happy and safe Halloween! 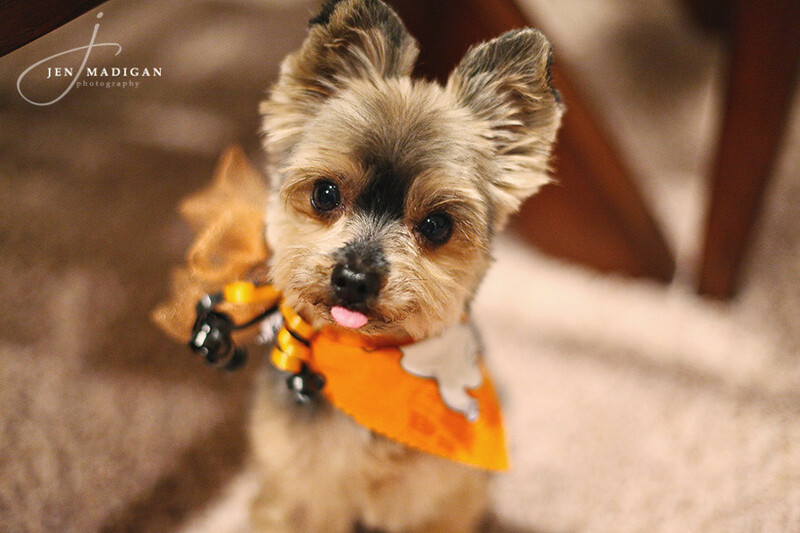 Einstein got his haircut this past week, so also he wanted to show off his spooky new bandana complete with spider ring. Isn't he handsome? Happy Halloween to you, Josh, and Einstein as well!!! Einstein is so freaking cute that I may steal him to cuddle him. :-) Enjoy your day!